AYFS is a Meet Me Where I Am (MMWIA) direct service provider. The program is voluntary, time-limited, and designed to address behaviors that are putting a child's placement at risk. The goal of the program is to prevent hospitalization, reduce the need of higher levels of care, or to assist a child in transitioning to a lower level of care (e.g. from foster care back to biological family). Our program provides in-home, school, and community services that embrace the Child and Family Team (CFT) and Arizona Practice models. A Behavioral Health Technician (BHT), also called a Behavior Coach, works one-on-one with children, collaborates with caregivers, and works in partnership with CFT members. 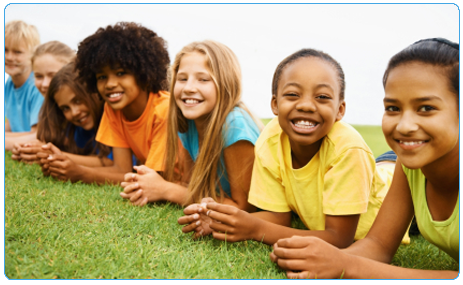 AYFS behavior coaching follows a Positive Behavioral Support model for service delivery thus incorporating strength-based, family-focused, culturally sensitive, and behaviorally driven interventions. AYFS is also a Quality Service Provider, offering counseling and medication services through our centrally located outpatient clinic. Individual, family, and group counseling are provided to assist a child and family in making progress toward identified treatment goals. Psychiatric services are available to those individuals in need of further evaluation as well as emotional and behavioral stabilization as part of their overall treatment. In addition, Case Managers and youth and Family Support workers can be assigned to help with the coordination of service delivery. Connecting families with natural and community supports is another key component to our clinical services and allows for improvement of quality of life and maintaining behavioral progress towards goals. AYFS is committed to family-centered interventions and culturally sound practices designed with short-term milestones and long-term independence as a goal. Transfer of appropriate skills and connection with natural supports is encouraged and embedded within the service delivery. The AYFS staff is culturally sensitive and recognizes the value of diversity as a source of strength in the recovery process. Medication Services: offering psychiatric evaluations, medication management and monitoring to assist in emotional and behavioral stabilization. Transition from Hospital or Detention Facilities: helping in discharge planning and implementation of necessary interventions to aid in transition. Functional Behavioral Assessment: an observation and problem-solving process for identifying client needs. Transportation: facilitating client and family needs in order to promote attainment of service goals. Case Management: collaborate with families to plan and coordinate services to meet an individual's and family's comprehensive needs; assist in resourcing with the community; clinical care coordination between resources within and outside the agency. Independent Living Skills: aiding in the transition to adulthood through various ILS skill building activities. School-based Services: developing and aiding teaching staff in the utilization of effective interventions to address problematic behaviors. Parenting Support: psycho-educational focus and support on increasing positive parenting. Community Outings: social skill building and support in public settings.